Hosting a neighbourhood holiday party is a great way to reconnect with old friends and welcome new families to the community. And it doesn’t necessarily require a huge investment of time or money. Plan a potluck dinner and ask your guests to bring a dish or drink to share. Or host a holiday cookie exchange and ask everyone to bring a couple dozen of their favorite cookie to swap with other guests. Hot chocolate and caroling is another great way to bring neighbours together to celebrate the season. If you have a neighbour who you’ve been at odds with in the past, consider extending them an invitation, as well. It could be the perfect opportunity to make peace in the new year. 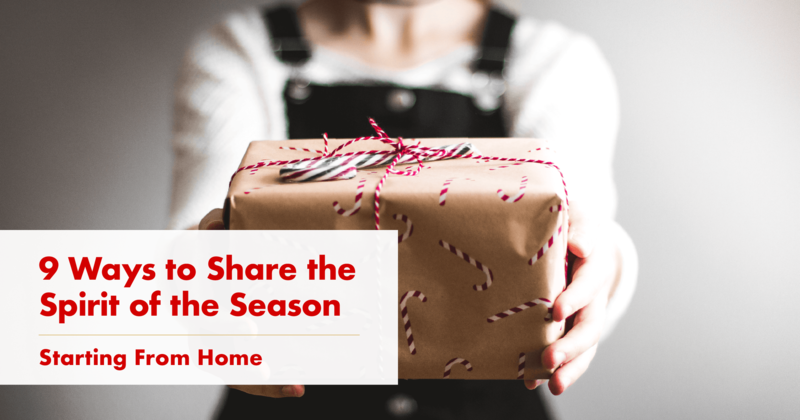 The holiday season is the perfect time to offer help to a neighbour in need. Next time you head out to rake your leaves, take care of an elderly neighbour’s, as well. Or drop off dinner for a friend who is recovering from surgery.If you know of someone in your community with a larger need, consider setting up a Care Calendar through a site like CareCalendar.org. Then share the link with other neighbours who may be interested in helping, too. Users can sign up to run errands, cook a meal, babysit, wash laundry, clean the house, mow the lawn, or complete other household tasks depending on the individual’s needs. Even a small gesture of kindness can make someone’s holiday extra jolly. Realtor® in Ottawa, Ontario focusing on the fast-growing suburb of Nepean. Serving Buyers And Sellers in Barrhaven, Riverside South, Hunt Club, Gloucester, Kanata and Orleans. 10 years experience, with excellent sales, marketing and negotiating skills, specializing in residential real estate transactions including condo’s. Ahead of the curve with technology. I offer expert listing advice, Free Market Evaluations, Move Up Buyer incentives, and a pre-listing program for Sellers to maximum Listing exposure. I Feel Buying and selling real estate is like going on a sailing trip. As your Realtor®, I see myself as the 'Captain of Your Cruise' using my experience to plot a trouble-free course, to get you to port on time successfully. Keeping you informed all throughout the trip. I can't control the weather or promise a squall-free trip, but I will use my expertise to give you as smooth a sail as possible to get you safely home.